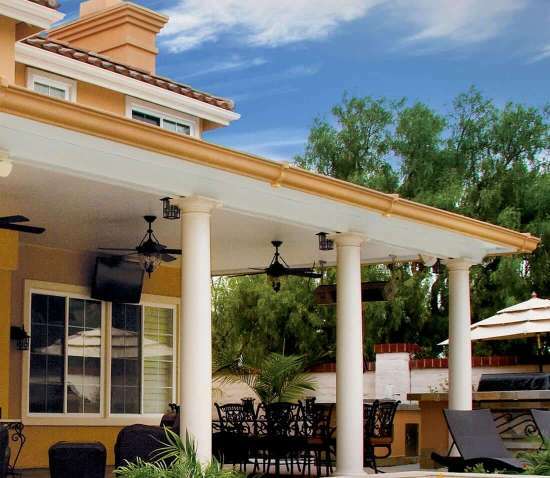 Experience the Best Patio Covers & Sunrooms in Orange County, California. 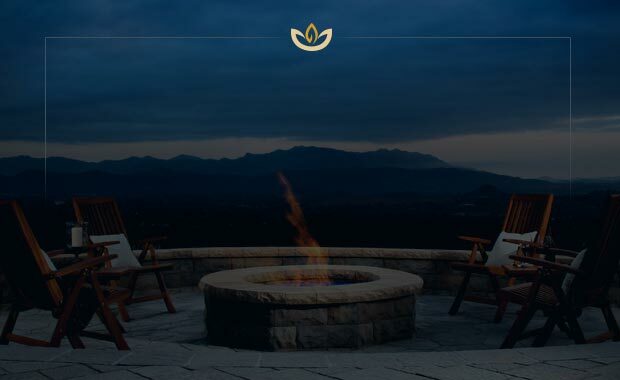 Headquartered in Orange County, California, Patio Warehouse, Inc. was founded to help you create a one-of-a-kind, backyard oasis that rivals any summer destination you can think of. 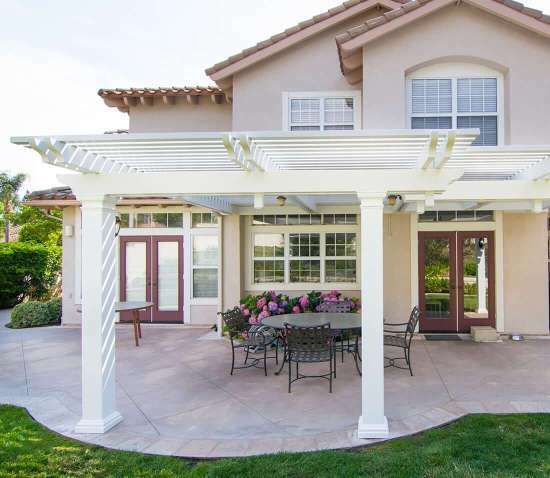 From Elitewood lattice patio covers, Elitewood solid top patio covers, Apollo Louvered patio covers, Patio Enclosures, & Sunrooms, Patio Warehouse will design your dream patio cover or sunroom right here in Orange County, CA . 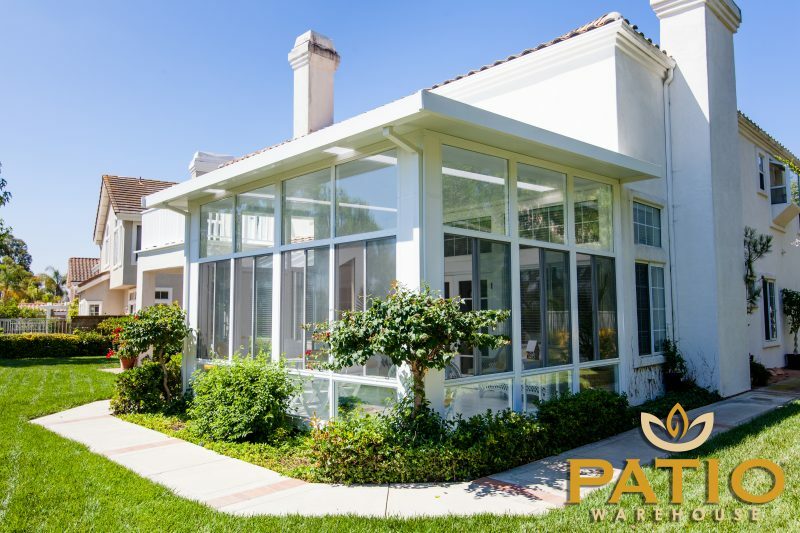 For the best patio cover & sunroom designers in Orange County, California, call Patio Warehouse or visit our showroom in Orange at the corner of Katella & Glassell. Transform your backyard to a stunning vacation destination that will be the talk of the town. 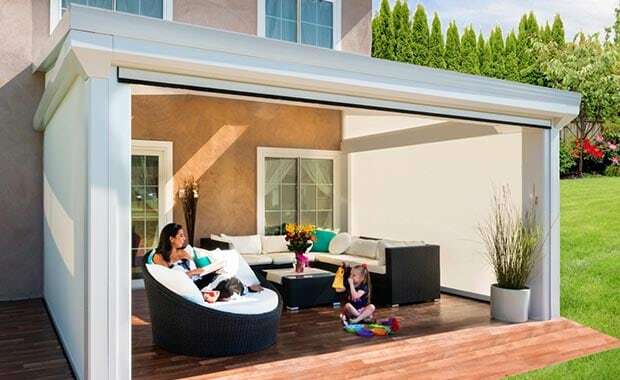 Our patio cover & sunroom experts will help you imagine what your covered patio, sunroom and outdoor space could be, and turn those dreams into something magical and extraordinary. Your next vacation destination could soon be just a few steps away. Easy to install and even easier to maintain, Elitewood Lattice patio covers are fully customizable to best compliment the natural beauty of your landscape. Choose from a variety of colors and end cuts — creating an outdoor oasis that’s uniquely you. Enjoy the look of premium wood and the durability of coated aluminum. Elitewood patio covers come in a richly textured wood finish for just a fraction of the maintenance and upkeep. 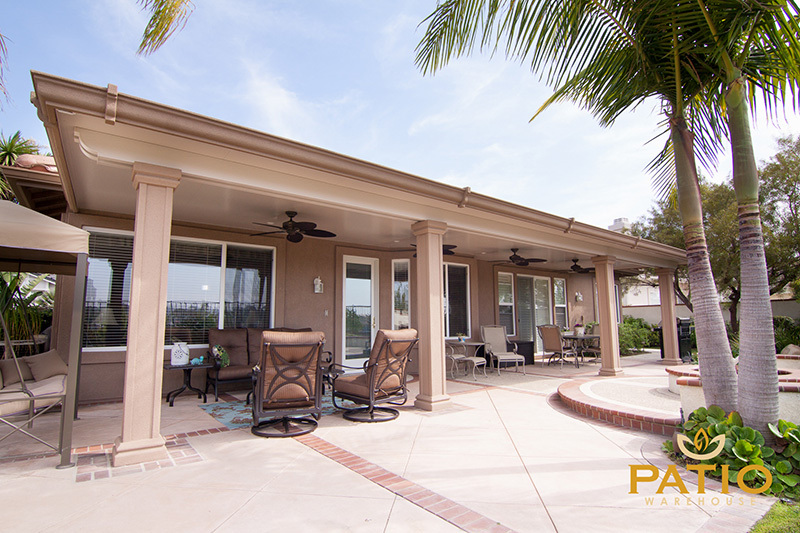 Optional custom columns and recessed lighting add unparalleled charm to your design, while the innovative paint system repels dirt and stains, ensuring you’ll love your patio cover in twenty years as much as you do the day it’s installed. 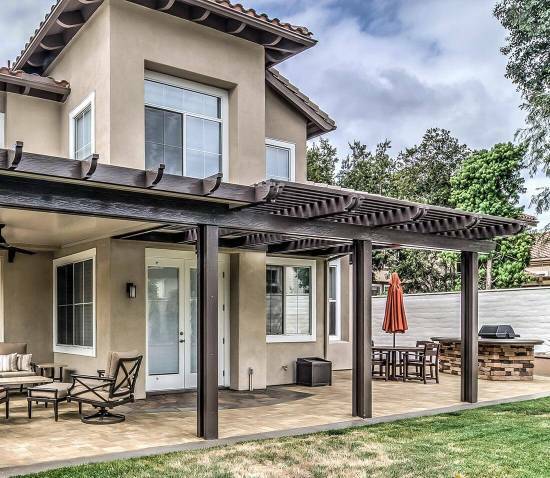 Made from high-quality aluminum, these low-maintenance patio covers offer an economical way to add beauty and value to your home and extend the life of your patio concrete, pavers, and furniture. Let us help you recover your home’s lost square footage and create a place that will quickly become your family’s favorite hangout. 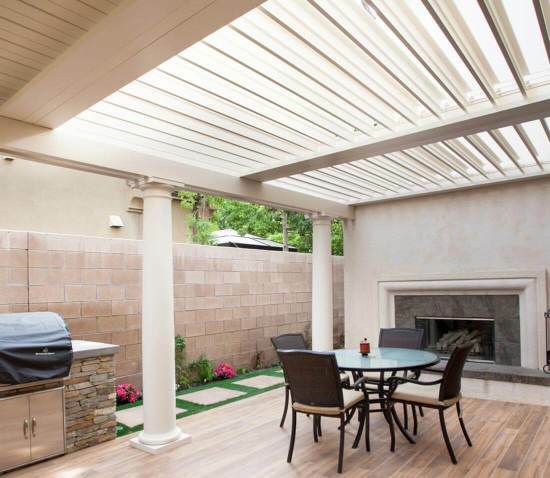 Can’t decide whether to get a lattice patio cover or a solid patio cover? Get the benefits of both with the Apollo Opening Roof System. You control the amount of sun or shade at the touch of a button. Even better, you can angle the interlocking louvers to direct sun toward the house in the winter and away from the house in the summer for greater energy savings. Contact us for a free quote today. The solid, flat roof of our Sunscape sunroom couples quite charmingly with any of our lattice or solid aluminum patio covers. Add optional, translucent ceiling panels to let even more light grace the warmest, sunniest spot in your house. 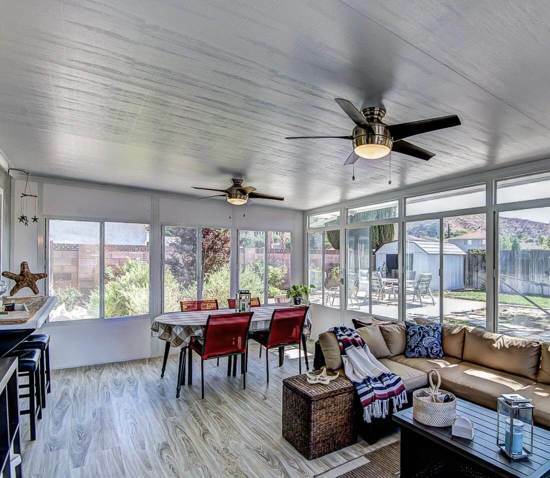 Finding time and space for a sunroom isn’t just a home improvement. It’s a life improvement. 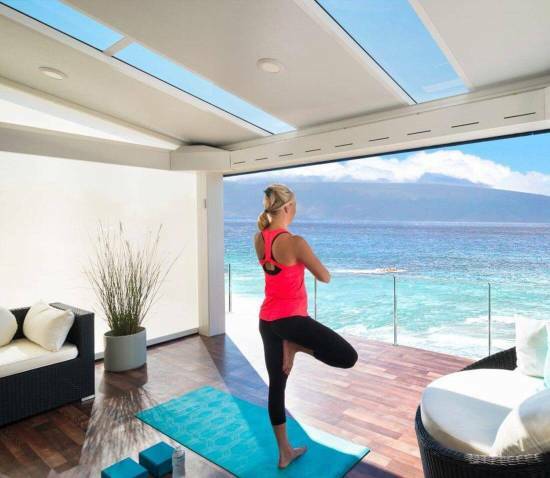 See your world in a whole new light with a Horizon sunroom from Four Seasons Building Products. This sunroom blends easily with existing construction, featuring a solid, insulated roof that is pitched to match your home’s roof. Choose between floor-to-ceiling glass and a combination of glass and insulated panels to complete the look. 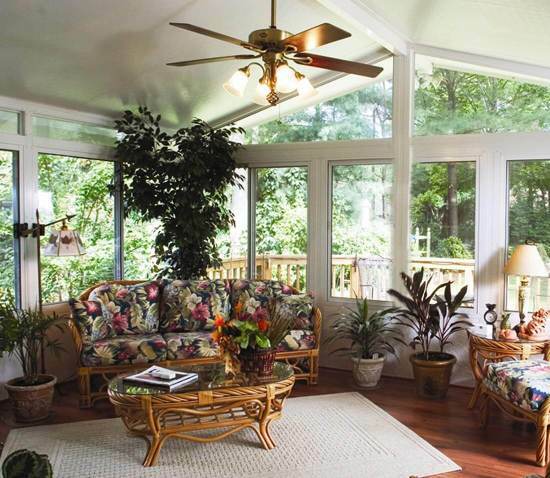 Part patio, part sunroom, the LifeRoom seamlessly transitions from day to night at the flip of a switch. Leave the one-click glide screens up in the afternoon for a breezy, open reading room. When the temperatures drop, let down the screens, let down your hair, and turn on the soft blue LED lighting for the ultimate VIP-room in your own backyard. Or, fire up the on-demand projection screen for family movie night.